This is the illegitimate child of Donald Trump. Exhibit "A" in why he should get a vasectomy. Very raw. I like it. 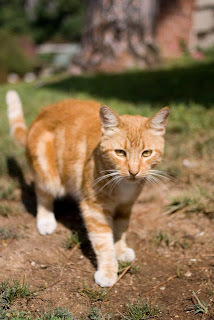 Orange tabby: a classic look that never goes out of style.